There are thousands of aspiring actors in Los Angeles alone, each hoping for one big break that will launch their career. Only a few will ever make it as actors, and even fewer will perform beyond a B movie role or television appearance. So, what can you do to increase your chances for success? Realize that you have limited control over certain things, such as how you look in real life and how you sound, but there are steps you can take that can increase your chances of getting a part. Just like any art form, acting is a craft that can be improved continuously. Take acting classes, learn from other actors and mentors, and hone your craft. 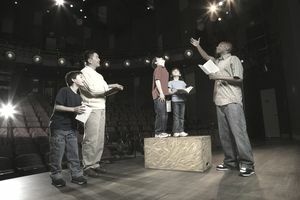 Many top-tier actors work with acting coaches to learn and refine their techniques. It might seem obvious, but promptness is crucial. Tardiness is a weakness that no director will tolerate because there are plenty of actors who will arrive hours early. Casting sessions typically last just a few minutes, and they are scheduled at odd times such as 7:25 a.m. or 6:50 a.m. on purpose to determine your reliability. Be early or don’t bother showing up. Patience weighs thin at a casting session, and few actions will hurt your chances more than being late. If you fail to learn your lines, you will not be hired. Spend time preparing your lines and your delivery. If you are well prepared, you will be less nervous and better able to perform. Never add your own words to what is written in the script. There’s no better way to offend a writer than to ad lib or to come up with your own lines. Your job as an actor is to deliver the written lines convincingly. If you think your own dialogue might be better, then become a writer. You must demonstrate that you can take direction. Listen to what you are being told. Sometimes the casting director, writer, or director will give you some direction prior or during the audition, or during the audition for a particular line. Listen to what you are told and take the time you need to process it. If you are not sure what the director means, repeat the instructions back to the director for confirmation. During an audition, more often than not, a director will be happy to give you a few minutes to incorporate the new direction into the lines. Your headshot should portray your true appearance. If you have gained weight, cut your hair, or are a few years older, get a new headshot. Your old headshot will not be the one getting the job if your current appearance represents someone other than who the casting committee was expecting. Actors who genuinely commit to a reading are fun to watch. They literally transform themselves into the character. By committing fully to the reading, you will dissolve any nervousness and play the part with genuine passion. Life happens. Perhaps you couldn’t learn your lines because you lost your power. You were an hour late because you were stuck in traffic, or you had to take your dog to the emergency vet. Attribute these annoyances to some of life's inevitabilities and don't attempt to give excuses. No one cares because there are so many others who are waiting to take your place. Don't punish yourself, but prepare well in advance of the deadline and have a contingency plan in place to avoid being late. The life of an actor is not as easy as it may seem. There are often long periods of financial insecurity, fierce competition, and rejection that make the overall process that much more difficult. Still, knowing the most basic elements and adhering to simple rules will give you the best chance for success.